One of the American professional basketball player for the Golden State Warriors of NBA is Kevin Durant. He plays as the small forward. His real name is Kevin Wayne Durant. Kevin Durant was born on September 29, 1988 in Washington D.C. Durant was an infant and his family was deserted by his father. His father Wanda and his mother Wayne got divorced. He was helped to raised by his grandmother Barbara Davis. His father reentered his life. Both of them traveled the country to basketball tournament by the age of 13. Durant have three siblings they are: sister name was Brianna and brother name was Tony and Rayvonne. Durant and his siblings was growing up in Prince George’s Country, Maryland. Durant was unusually tall from a young age. He reached 6 ft. 0 in (1.83 m) in height. Toronto Raptors was a club in which Durant play for his favorites team and player Vince Carter. 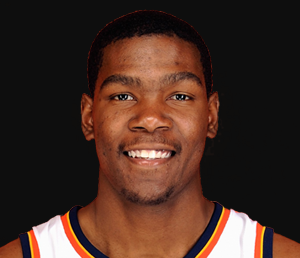 Durant played Amature Athletic Union (AAU) basketball for several time. Kelvin Durant jersey no 35. Kevin Durant’s height is 2.06 m and weight is 109 kg. His eyes are of dark brown color and hair is of also dark brown color. He has the balanced and healthy body. As a student of University of Texas Kevin played for the 2006-2007 season for the college. He was awarded as fourth seed in the NCAA Tournament. He was also named as national player of the year. He was also awarded as the Naismith College player of the year. He was officially declared as the NBA draft. In 2007 NBA draft he was selected as the second overall pick by the Seattle Supersonics. He was also named as the NBA Rookie of the Year. He made 20 points per game on entire season. He joined Carmelo Anthony as the only teenager in the league history. Kevin Durant relocated from Seattle to Oklahoma City. He set the Rookie Challenge record with 46 points. He was also named as the Most Improved Player Award. He was selected as first NBA All-Star Game. He became the youngest NBA scoring champion. Also selected as first All-NBA team. Kevin Durant extended his contract for five-year at the start of 2010-2011 season. he led the NBA team. He was awarded as the NBA All-Star Game Most Valuable Award. He was also shortened 2011-2012 season. In 2013-2014 season, Kevin Durant averaged 35.9 points per game. He made a high career by 54 points against the Golden State Warriors. He was also voted as NBA Most Valuable Player. He scored 36 points in a Game 6 victory. They were eliminated in the Conference Finals in six games. In 2014-2015 season Kevin Durant had facture in the right foot and was ruled out. But after he came in the game. His ankle also got injured against Golden State Warriors on 18 December. Then again he got the foot injury and had to do foot surgery. In 2015-2016 season, he dropped the season by 40 points on 30 October. He set the NBA record for the consecutive games. Kevin Durant signed the warriors at 4 July. He was officially signed to Golden State on a two-year contract. He made his debut for Warriors on 25 October scoring high team point. He became the first player in team history to finish with at least 20 points. He also suffered from the Grade 2 MCL sprain. He entered the playoffs as the No.1 seed. He then returned from the injury. He was also named the Bill Russel NBA Finals Most Valuable Player. In 2017-2018 season, Kevin Durant resigned the Warriors for less money on 25 July, 2017. He became the 44th player in NBA history. He also became the second youngest player. He also recorded a playoff career in Game 3 of the 2018 NBA Finals. He won the NBA Finals MVP Award. In 2018-2019 season Kevin Durant resigned with the Warriors. 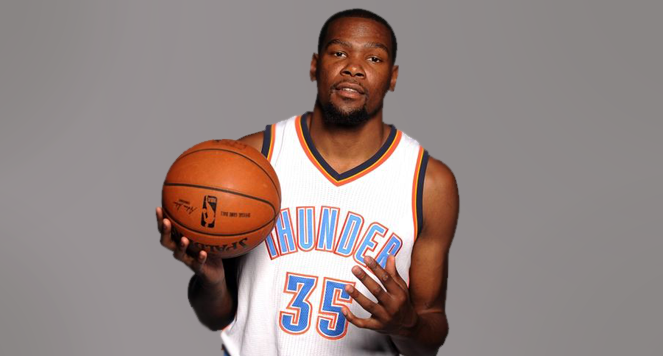 Kevin Durant received the invitation to the United States national team training camp in February 2007. He was also selected as the 2010 FIBA World Championship and became the leader. He led the team to USA for 2010 FIBA World Championship. He also recorded the points in an Olympic basketball tournament at the 2012 Olympics. He was also selected as the 2014 FIBA Basketball World Cup. He also received a gold medal at Olympics on 2016. He was also named at 2016 co-USA Basketball Male Athlete of the Year. Kevin Durant has dated several women such as Jasmine Shine in May 2016, Ashley Champ in February 2016, Crystal Renee from late 2014-2016, Chantel Jeffries in 2015, Monica Wright from 2013 to 2014 and Rosalyn Gold-Onwude in 2017. Recently it is rumored that as he has dated Cassandra Anderson in 2018 NBA season. Kevin Durant net worth is estimated to be $150 Million.